Like many of the other applications you use on your phone and computer, your Web browsers will periodically receive updates that add features, improve performance, and fix security issues. Many applications will let you wait for a while to install these updates, and will only force them if something is critical. But some applications can be a little more insistent that you install new updates, and Firefox can certainly be one of the pushier ones. If you don’t like seeing the update nag at the top-right of the Firefox window, then you might prefer to let Firefox install updates automatically as they become available. Our tutorial below will show you where to find this setting. 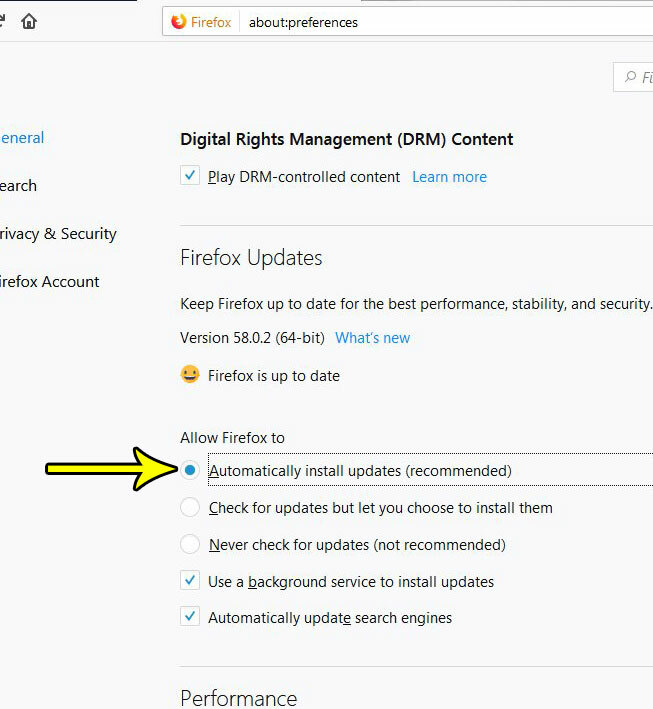 The steps in this article are going to show you how to configure Firefox so that it install available updates automatically. Note that this will occasionally cause delays when you go to launch the browser if it needs to complete an installation task before the browser opens. 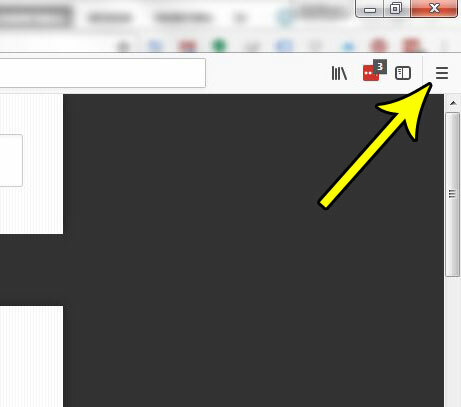 Step 2: Select the Open menu button at the top-right of the window. Step 2: Choose the Options item from this menu. Step 3: Scroll down to the Allow Firefox to section neat the bottom of the menu, then click the circle to the left of Automatically install updates (recommended). Do you miss the menu bar that was previously accessible in older version of Firefox? 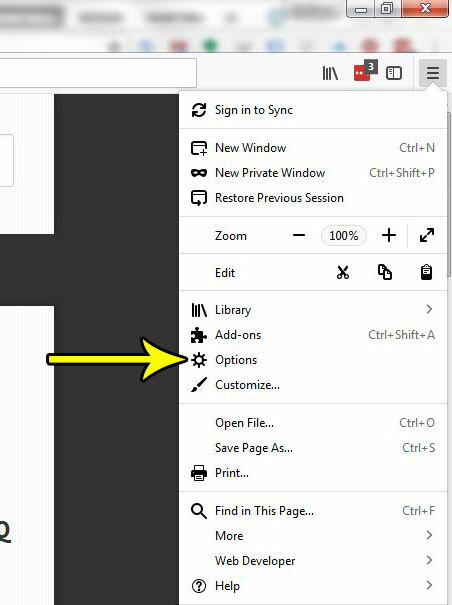 It’s still an option, so find out how to show the menu bar at the top of Firefox if you like to use the File, Edit, View, and other similar tabs to perform actions in the browser. Can I Turn Off 3D Touch on My iPhone 7?